PMC Systems Limited can attach a whole layer of Supervisory Control And Data Acquisition (SCADA) technology to your manufacturing process and equipment that leverages our database and networking skills. All modern automation controls have the ability to talk across Ethernet to make the controls a part of an existing or new PMC supplied in-plant network. This permits batching, recipe uploading & downloading, and high speed process data collection. It also allows scheduling, production, maintenance, and management to view the operation of your manufacturing process in real-time over the WEB. The SCADA layer can collect and store real-time production data and provide analysis of that data as it happens. 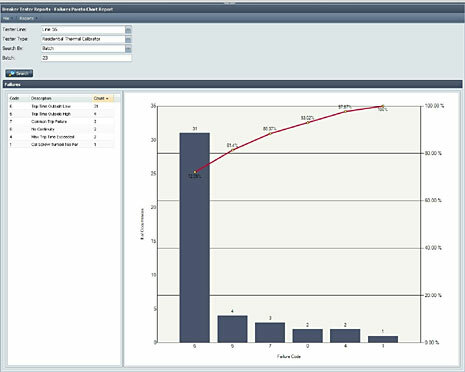 Data analysis including: Pareto Charts, X Bar and R charts, Overall Equipment Effectiveness Computations, Adaptive Control changes to the process, and Process Variable Distributions can be stored away on a database for quality auditing and network wide distribution. Recipes, production data, scheduling, and downtime tracking can all be communicated to your existing plant network and business systems. 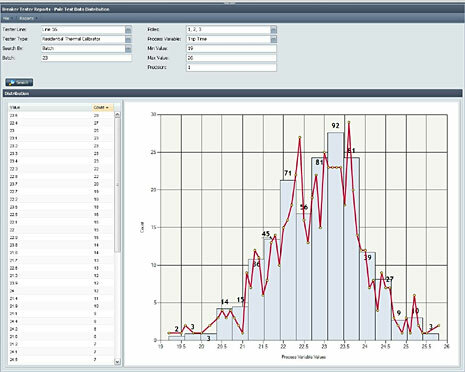 All charts, reports, and data can be accessed real-time over the Internet using our WEB server software. You will have the information at your finger tips in real-time to make the kind of decisions that can directly affect your product quality, yield, and output.